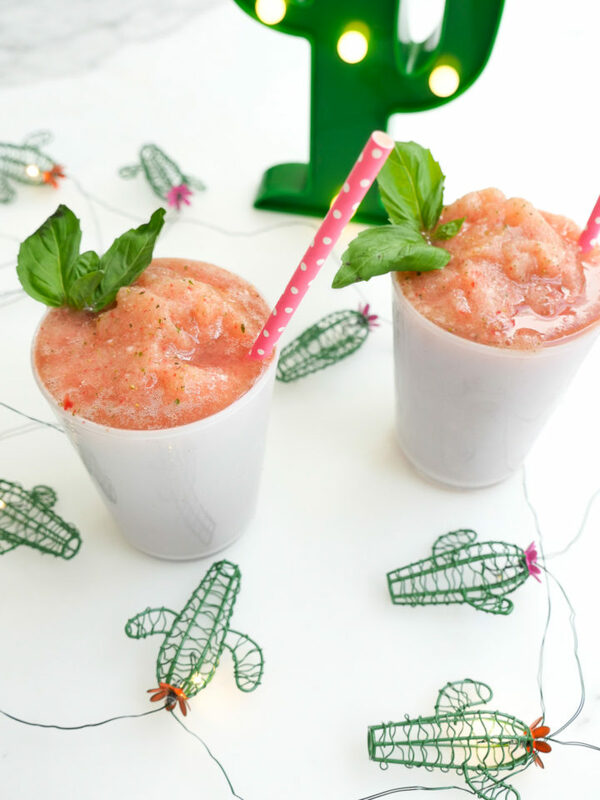 Cinco De Mayo: Frozen Strawberry Basil Margaritas! I love a Margarita! And with Cinco De Mayo right around the corner, I thought I would share one of my favorites to make at home for a fun and festive time. I just love frozen margaritas, but I find that they’re much more delish when made with fresh fruit. 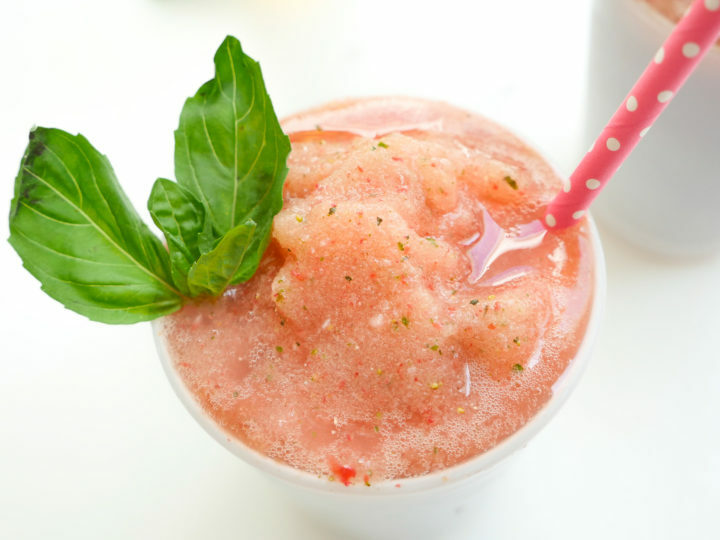 Berries are coming back in to season, and my favorite Margarita is this strawberry and basil flavor. I just love how the earthiness of the basil cuts through the sweetness of the strawberry. It’s so easy to whip up and tastes so gourmet! I prefer to not salt the rims of my glasses, but a sugar rim would be perfect for this cocktail if you like one! Make a pitcher, or just blend a couple up– this recipes makes two margaritas. Place all ingredients in to a powerful blender, and blend until smooth and thick. Add more ice for a thicker Margarita, or add water by the tablespoon if you need to loosen it. Pour in to glasses and serve! 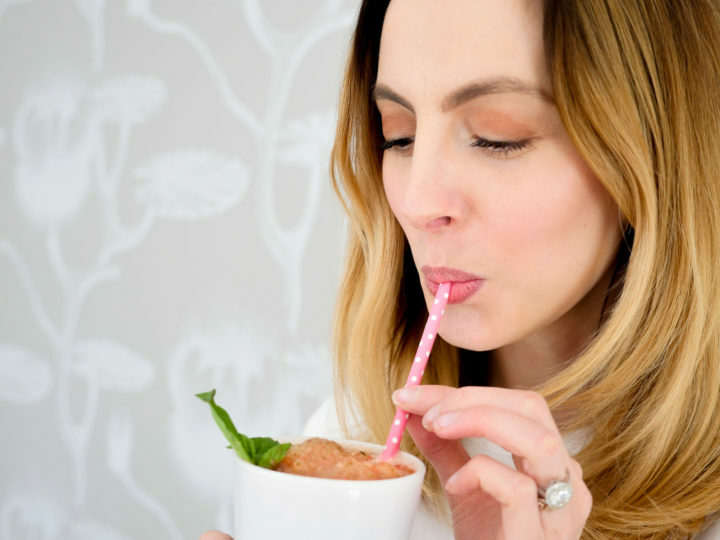 Can’t wait to try this marg recipe! I make this on the rocks and like to throw in a muddled jalapeño for an extra kick! Party in the mouth! 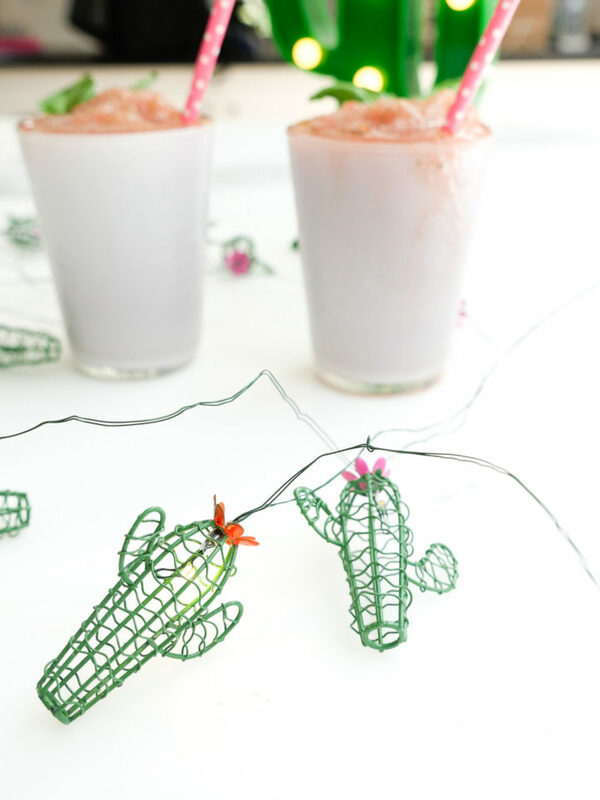 Looks like your special ‘art director’ really helped out with those cactus string lights! Do you mind me asking what name Marlowe and Major call your Stepdad?